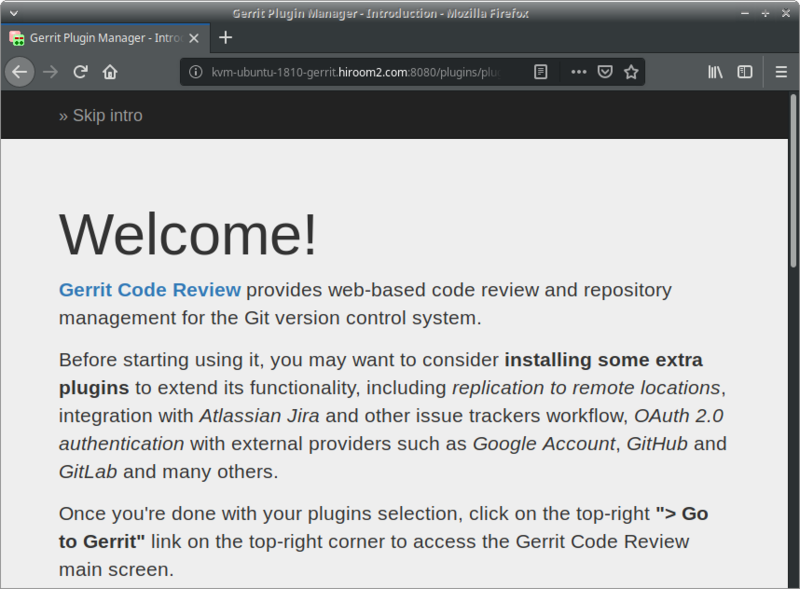 This article will describe installing Gerrit. 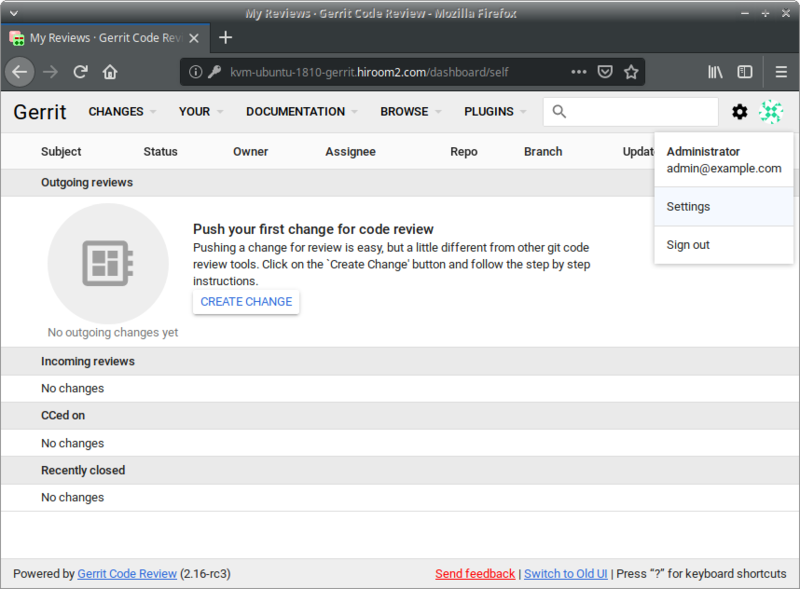 In case of personal development and closed environment, you don't have to change authentication type from "DEVELOPMENT_BECOME_ANY_ACCOUNT" which allows any remote user to access all operation. The following script will install Gerrit. DEVELOPMENT_BECOME_ANY_ACCOUNT can switch to all user. "git clone" can be used via HTTP and SSH. If there are few developer and closed environment, you can use "HTTP" as an authentication type. "HTTP" uses the username and password of Apache digest authentication. The following script will change authentication type to HTTP and setup Apache. 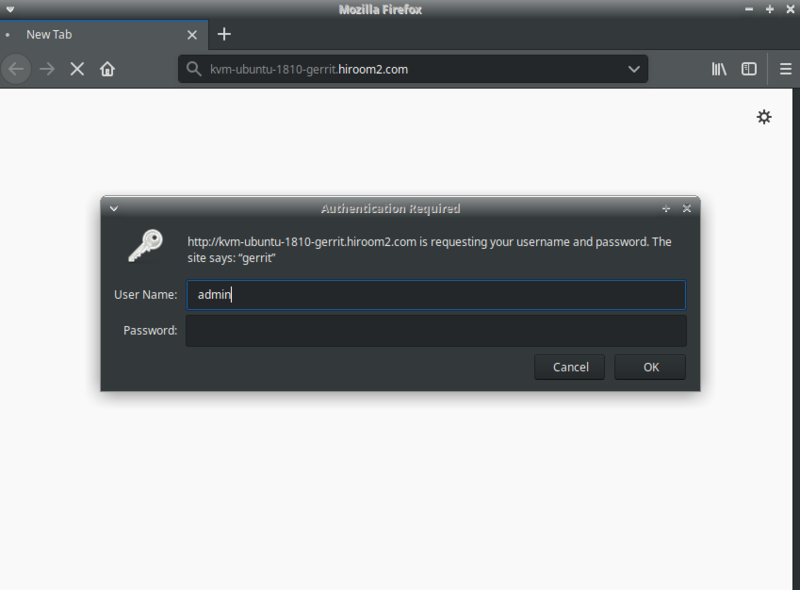 Digest authentication dialog is displayed. "git clone" can be used via HTTP and SSH. HTTP needs to success Apache digest authentication. You need to add entry to htdigest for adding new user. 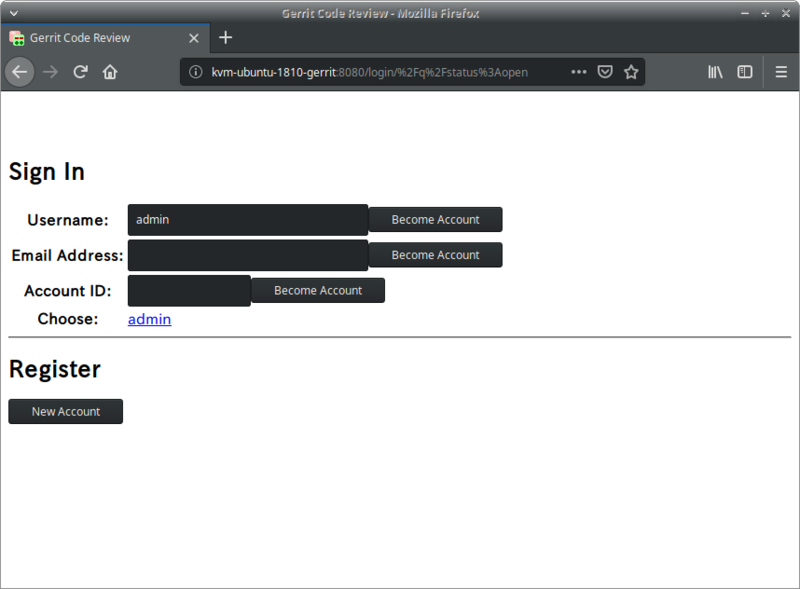 Success Apache digest authentication with added user. Added user profile page is displayed. 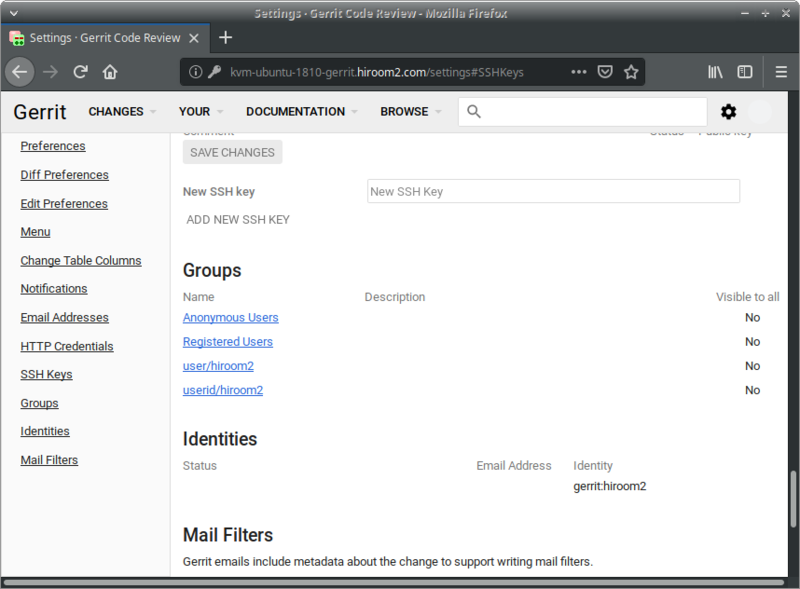 Added user needs SSH public key and email. email must be the same with ~/.gitconfig.